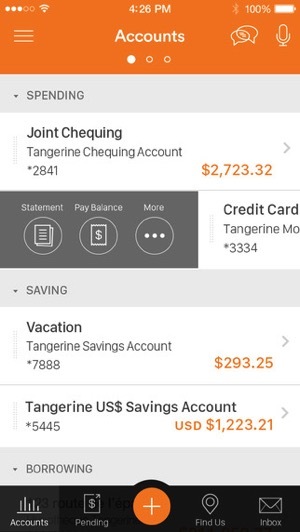 Tangerine Mobile Banking for iOS has gained an update today to add a new feature plus fix bugs. Customers can now apply for credit cards directly within the app, while issues related to increasing credit card limits and email money transfers were addressed. Tangerine says they are also currently working on cheque-in issues for iPhone 4 and iPad mini users, with fixes coming soon. Back in April, Tangerine Mobile Banking received a fresh new update which added secure chat built-in, plus biometric security features using eye and voice recognition. Click here to download Tangerine Mobile Banking in the App Store.